Kitchen Hood Installation, Lakeland, FL | Johnson's Mechanical Inc. Kitchen Hood Installation, Lakeland, FL | Johnson's Mechanical Inc. Whether you’re doing a complete kitchen remodel or just a few updates, you should leave the kitchen hood installation process up to our team of professionals in Lakeland. Having a stove hood in your kitchen is an important part of improving ventilation and removing odors as you cook. However, in order to reap these benefits, the hood has to be installed correctly from the start. This is why, whether you’re doing a complete kitchen remodel or just a few updates, you should leave the kitchen hood installation process up to our team of professionals in Lakeland, Florida. As part of the kitchen hood installation process, we can remove the old hood from above your stove. After we’ve removed the old hood, we will make sure your new hood will fit in the space and that it will be at least 24 to 30 inches above the surface of your stove once installed. Then, we will make sure that the venting runs in the proper direction, and if it doesn’t, we will reconfigure it to complement your new kitchen hood. During the kitchen hood installation process, feel free to ask us any questions you might have. Our friendly professionals are always more than happy to give you further information, so you have a good experience working with us from start to finish. Once we’re done installing your new kitchen hood, we are confident the hood will work properly and add a new level of functionality and beauty to your kitchen. 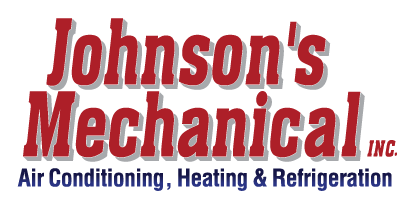 Contact us at Johnson’s Mechanical Inc. to schedule a time for service or to find out more about our commitment to you as our customer.